This is a post about pairing chocolate with whisky. Chocolate, at the high end, offers a range of different flavors via different cacao varieties, growing regions and plantations with clear terroir and a powerful set of flavors with fermented winey notes, a whole series of complex alkaloids, creamy luscious fats, vegetal compounds and tannins, the flavors of roasting or baking (unless raw) wrapped up in a rich seductive mouth feel. The flavors can persist on the palate in a long finish and pair well with a variety of beverages: classically wine, and coffee. 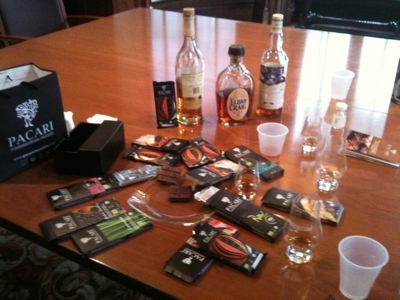 More recently the craze for fine whisky has led to an explosion of interest in chocolate-whisky pairing. Whisky and chocolate are both extremely flavor dense foods and their pairings can be uneasy, discordant or deliciously complimentary. Sometimes, mysteriously and excitingly, certain whisky chocolate pairs combine to form dramatically new "emergent" flavors. This startling effect takes on an aspect of "flavor tripping" - joyriding the palate through gastronomic stunts. 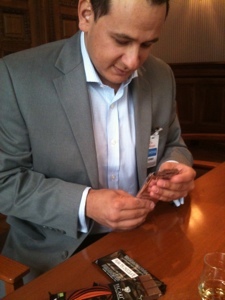 Recently I met with Francisco X. Vivar, the voluble and incredibly sweet and elfin North American importer, evangelist, and human face of Pacai chocolate in the USA. 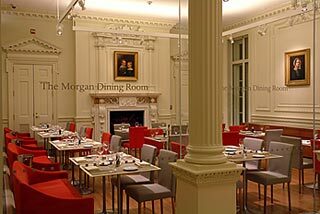 Vivar and I were planning a tour of The Morgan Library & Museum, some lunch, and a bit of chocolate-whisky pairing. 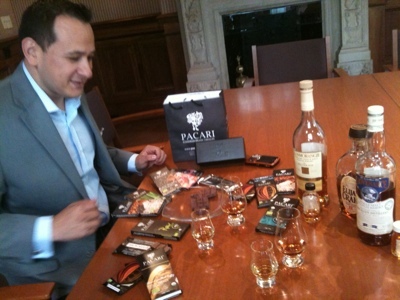 As it turned out, Francisco had just received the news that Pacari had been crowned the champion of the world finals of the first International Chocolate Awards - winning 5 Gold (including the overall) and a Silver (see addendum and link at bottom). Feeling expansive, we dined exclusively on Pacari chocolate that day, taking in most of the upcoming Fall line-up including the rare lauded Piura white cacao bar, the extremely rare Nube varietal bar (limited to 2000 bars worldwide), and pre-release prototypes of a Pacari Fig bar, a bar made with a traditional pulled sugar cane toffee-caramel called "Melcocha", and much of the core line up to boot. We paired these extraordinary chocolates with a selection of whiskies representing a broad flavor gamut: Glenmorangie Nectar D'Or, Oban DE 1995, Elijah Craig 12, Douglas McGibbon Provinance Port Ellen 23 1982/2005, and Balcones Brimstone. Some of these pairings were extraordinary, and will be described fully further on. But first, a bit of background. 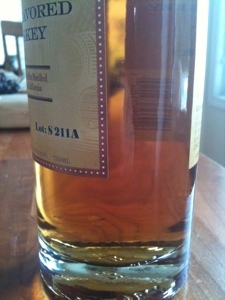 Take the whisky on the palette, moving it around the mouth for awhile to let the flavours build. Once swallowed, wait a few seconds before placing a very small piece of chocolate on the tongue. Allow the chocolate to melt slowly and experience the profiles of the Chocolate and Whisky as they come together. Towards the end of the melt, take a little of the whisky back over the chocolate. This leads to greater intensity and often the development of some interesting and unexpected flavours. Enjoy the finish as you normally would, only this time you will see some interesting variations in the profile of the whisky. This confluence of whisky and chocolate expertise makes Stuart Robson a pretty special person at the intersection of these two fascinating passions. A few weeks ago George Gensler, one of the founders of the Manhattan Chocolate Society and a frequent reviewer on SeventyPercent.com, who I had met at the Compass Box-Pacari pairing event, incredibly generously nominated me to be a judge at the International Chocolate Awards Western Hemisphere Semi Finals. I got to taste an amazing array of chocolates, meet an amazing group of chocolate epicures and play some small role in an important industry review of the stars of high end chocolate. 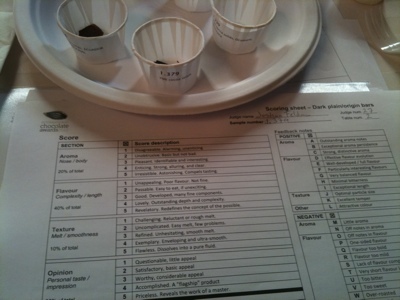 At the conclusion of each judging session I pulled out a mess of sample bottles and did impromptu whisky-chocolate pairing sessions with the three Valharonha chocolate "palate calibration" selections: Guanaja, Manjari and Abinao. Importantly i got to do a one on one whisky chocolate pairing with Clay Gordon, the amazing impresario behind the Chocolate Life online community, the book "Discover Chocolate", and a host of other chocolate projects ranging from chocolate factory start ups to radio presentations on the Heritage Radio Network and the creation of a chocolate factory in Bushwick. These impromptu jam sessions were a total blast and taught me a lot. 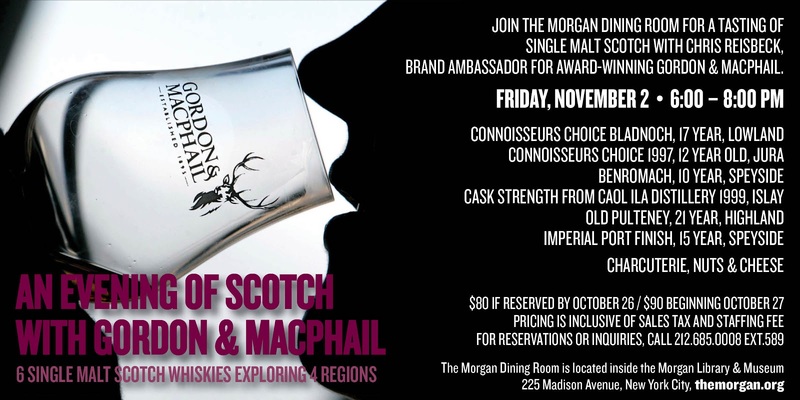 These experiences gave me the audacious ambition to make my first public whisky event a whisky chocolate pairing event. Back to the tasting at hand. 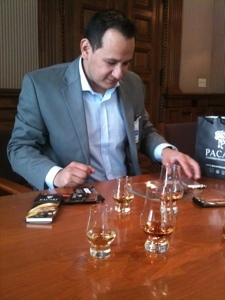 Francisco & I toured The Morgan and then began the pairings in a private space. The Morgan is a very special place: JP Morgan's private library is one of grandest beaux arts residence spaces ever envisioned. It is alive with culture, beauty, history, and power. Surrounding it is an array of exhibition halls and scholarly resources jammed with the literary and graphic roots and fruits of human civilization. After the tour we were in a fit mental state for appreciation of a different sort. A word on methodology: we inverted the order described by Stuart Robson, above on many of the pairings. 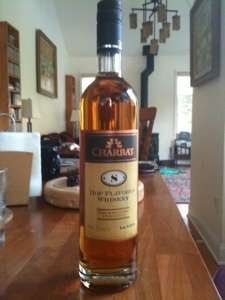 We took the chocolate first, let it melt on the palate and then took the whisky. The order makes a big difference. When you have the chocolate first, the chocolate initially dominates the palate and the whisky's entry modifies the chocolate's finish. When you take the whisky first and then let the chocolate melt over the whisky's finish you are putting the whisky's flavors first. You generally end up in the same place, as you add another sip and another square - but how you get there affects the view. 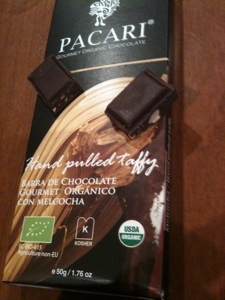 Pacari Nube 70% varietal bar (limited to 2000 bars world-wide). Dark acidic blueberry, rich ivy & cilantro herbal notes, and aromatic smoky espresso flavors with a rich velvety mouth feel. This selection paired synergistically with Glenmorangie Nectar D'Or. Nectar D'Or is sweet, light, and intensely floral. I was anticipating an accentuation of the herbal qualities. Paradoxically, the combination was suddenly warm and vividly toffeed - brimming with butter and sugar browning in a pan Maillard reaction flavors. Piura White Cacao varietal, 70%. This chocolate is a lovely amber reddish-brown hue because of the white cacao from the Piura region (Pacari's first from beyond Ecuador). Rich and heady with a potent raw cacao flavor punch: earthy, fermented, with vivid acids, honeyed toffee notes, and plenty of dark cocoa flavors. This one did the toffee Maillard thing with Nectar D'Or too - even more than the Nube. A stunning pairing. 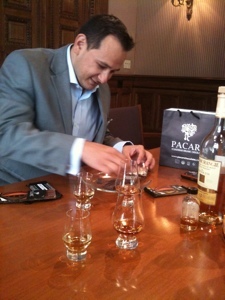 Elijah Craig 12 with the Pacari Chili bar: peppery heat squared. The big oak tannin hit from the EC meshed with the capsicum heat to form a potent mouth burn. Maybe a bit too potent. 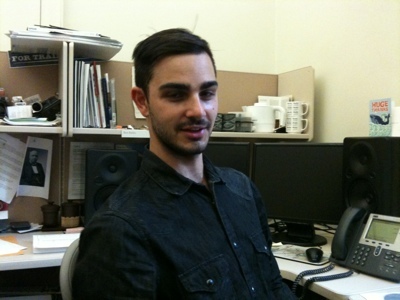 This was somewhere between a mesh and a clash. We paired the sherried Port Ellen 23 with a number of bars but the stand outs were The Pacari Manabi 65% bar which meshed with the Port Ellen's lemon and chamois to produce a paradoxical huge caramel note with complex peat and citrus overtones. Stunning. When paired with Pacari's landmark 70% Raw bar, however, the same Port Ellen 23 popped out a huge oak wood flavor note that was as surprising as it was delicious. Where in the world did that come from? 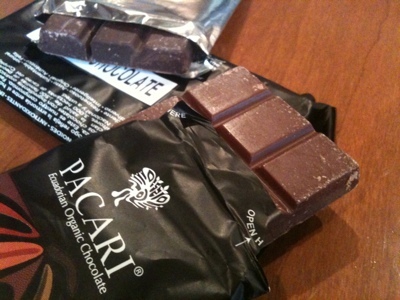 From Pacari's tasty chewing "Fruit Harvest" line - the prototype of the upcoming Fig 60% bar produced an amazing smoky sweet flavor, reminiscent of sizzling bacon wrapped figs. Brimstone also kills with the Piura bar - coiling sweet and smoke turned hauntingly toffeed. I have been repeatedly impressed with how well Brimstone pairs with big chocolates. It also makes an intensely memorable Old Fashioned. I still prefer it neat, however. I originally gave Brimstone 3 stars, but as my bottle opened up and I became accustomed to its dramatically novel flavor profile I fell in love and updated it to 4 stars and then to 5. 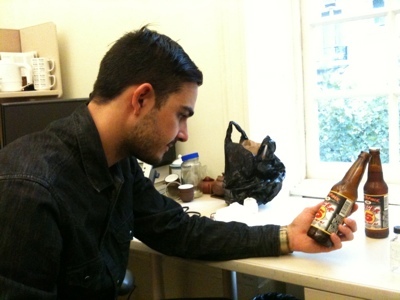 Now I view it as an indispensable bottle to have on hand at all times. New in the "Flavors of the Andes" line (the line that includes Pacari's award winning Lemongrass, Chili, and the luscious Salt & Nibs bars) is Melcocha. Melcocha is a traditional hand pulled caramel taffy made from raw sugar cane, cooked and pulled into ropes of densely chewy goodness. Embedded in rich Pacari 60% dark chocolate it makes a rich flavor pairing all by itself in the caramel toffee flavor quadrant. 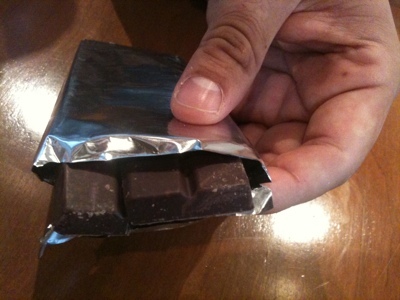 You must chew this bar and the textures are reminiscent of a Toblerone bar - although the flavors are far denser and richer. This bar paired well with any sweet whisky. It did particularly well with the Nectar D'Or. 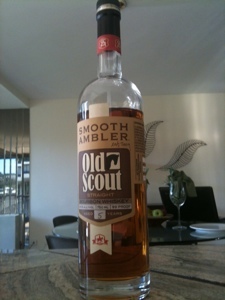 Smooth Ambler Old Scout & Very Old Scout - Brokered Bourbon As TheRight Thing To Do. Smooth Ambler is an exciting new craft distillery in Lewisburg West Virginia started in 2009 by John Little (and his father-in-law Tag Galyean) . They make a range of white spirits (a vodka, a gin, and a white dog whisky) but what John really wants to do is make Bourbon. 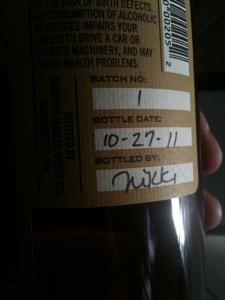 Their young juice, called "Yearling" shows great promise. It's not straight bourbon yet, by law. It just needs more time in the wood to be that, and while their own juice ages they are independently bottling some nice barrels of LDI bourbon. This business of selling brokered Bourbon is a topic that engenders some hand wringing in some quadrants - but shouldn't in this particular case. Why? We want our brands to be "real". Yet many of us enjoy brokered Bourbon, Rye (and Scotch) on a regular basis that is labelled with the names of distilleries that don't exist (or no longer exist). Have you ever tried Black Maple Hill, Noah's Mill, Rowan Creek, Widow Jane, Johhnie Drum, Bulleit, Hirsch, Corner Creek, Jefferson's, Michter's or Whistlepig? These, and many more, are independent bottlings (and or vattings) of other people's juice and are labelled with brands that aren't actual distilleries (or aren't any more). This isn't fraud - it's whiskey brokerage and it was how most of the Bourbon business operated in days of yore. However, there is a measure of dishonesty in the branding of some of those listed products. I confess I was a disappointed when I learned that Michter's was a brokerage product, and not a product of the historic Pennsylvania distillery of the same name (which is gone gone gone - razed to the ground gone). Read Chuck Cowdery's excellent piece of investigative journalism "The Best Whisky You'll Never Taste" for a detailed account of that distillery and what happened to it (and it's brand name). I wish that American regulations compelled bottlers to make plain the distillery of origin - as Scotland does. I encountered similar feelings with Black Maple Hill. Well, Smooth Ambler is a different story. It is a genuine Anerican Small Craft Distiller who has chosen the arduous and narrow path of making real West Virginia Bourbon (and soon to be Straight Bourbon Whisky). They are brokering older whisky to pay the bills. They are not alone on this path. Active distillers selling independent bottlings while their own juice matures include Willett's, Breckenridge. There are plenty of other variations too, such as Pendleton's who distill their own white, but bottle someone else's brown. Folks like Willett's, Breckenridge, and Smooth Ambler are real distilleries actually making new real American Bourbon. That, to me, gives them a higher standing for selling brokered Bourbon than companies that are just brokerage houses without stills. The money isn't just profit for a dealer - it's operating capital that acts an investment in whiskey's expansion in America. Smooth Ambler is fairly unusual, though, in selling both their own young Bourbon, and bottling someone else's older stuff at the same time - often side by side on the same shelf. 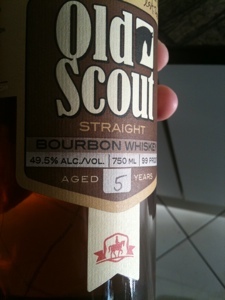 They are keeping the branding straight by having created a distinct label for their independent bottlings: "Old Scout". They currently have two lines: "Old Scout" at 5-7 years old, and "Very Old Scout" at 11-20 or so years old. The stuff is sourced from Lawrenceburg Distillers Indiana (LDI). 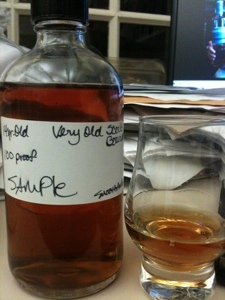 It's from a mash bill that features a very high amount of rye: 36% according to the Smooth Ambler web site. That amount of rye should isn't typical of Bourbon. Smooth Ambler is in pretty good company in getting juice from that big anonymous contract operation LDI. According to a very informative post last year on Sku's Recent Eats called "How do you know it's LDI?" the list of brands that use LDI juice includes: [High West & Templeton Rye] "Redemption Bourbon, Redemption Rye, Bulleit Rye, Temptation Bourbon, the new series of Willett three year old ryes, W.H. Harrison Bourbon, Big Bottom Bourbon, High Whiskey, Riverboat Rye and Smooth Ambler's Old Scout Bourbon." Color: Medium-light amber with copper glints. Nose: Stewed apricot-peach compote, acetone, mint, corn pones with treacle syrup and distant lavender. A lovely nose. With extended time a musky sour & rich aroma like sourdough bread and marmalade and sweat come up. It all reads "Bourbon" to me and I like it. Sweet & solventy on the open with an immediate salty earthy quality on the expansion. "Peanuts & violets" is how I put it to myself as sort of a metaphoric shorthand. There is floral sweet in sharp and solventy entry. Mint, and lavender play in the strong acetone of youth. The mouthfeel is light, but not thin. 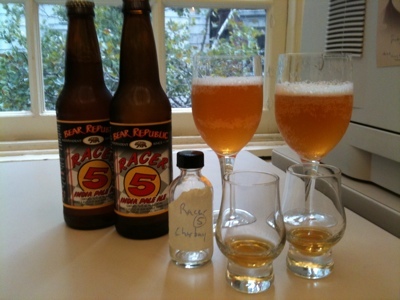 The mid palate is black pepper heat and earthy tang followed by a clear flavor of the aftermath of eating salt on the mid and sides of the tongue. I've noticed salty notes like this before in Wild Turkey 101 and Rittenhouse Rye. It meshes with the earthy dusky corn to come at a clear salted peanut effect. In fact, tasted blind I might mistake this for Wild Turkey 101 - buy there is more going on here, with the florals of the opening reflecting the high rye content of the mash bill. The finish is rather gentle compared to the fierce opening and mid. The spicy heat of pepper and drying salt fade without much wood tannins filling in. You are left drying, faintly oaked, basking in warm musky loam. All in all, a wonderful bourbon experience. It's not state of the art value (Four Roses Single Barrel lives at this price point) but it's solid. Interesting. On the whole worth drinking. Be aware that current batches are older: 6 and 7 years old - but still LDI. Nose: Nice bourbon nose of acetone, toffee citrus, phenol polish, faint glove leather and young pale tobacco. A bit more rounded and plummy and less solventy than the younger Old Scout. The palate entry is sweet with caramel corn and oak filigree (yes, oak perfume up front), daisies and mums florals, and char. The midpalate thins and dries slightly at first, with a surprising lack of density in the mouth feel, but then the expansion hits, focused on a big 100 proof spirit prickle glow that brings radiant stewed stone fruit and citrus flavor slamming the back of the palate, with whiffs of mint. Dark salty olives emerge at the turn to the finish and oak and char join the dark and salt in the embers of the finish which is ultimately tannic, drying, and lighter than you'd think. This is big old bourbon. It's got the lean-ness in the mouth feel and the dryness in the mid palate I associate with age, but sweetness on the tongue up front and isn't overly wooded. I suspect that the vatting is giving additional amplitude fore and aft. There's a lot going on in the palate. It's interesting to me to see the interplay of sweet and salt read as peanuts and violets in the younger Old Scout ends up like oily Kalamata olives in the Very Old Scout. I like both flavors and they aren't ones you get every day in Bourbon. Update: If you put a nice dollop of water in your dram of VOS and let it air for a half and hour or so thinks open up dramatically with lots of sweet soft apricot peach citrus, leather, jujubes, cinnamon apple candy and red hots on the opening & mid. The back end Kalamata olives tease apart into a dose of complex oak incense trending into bitterness. VOS flirts with glory in this fashion. The dense cinnamon red hots are very very nice. A tad less oak bitters in the balance and this would be a solid five star selection. Bottom line - these Old Scouts from Smooth Ambler are fine sipping Bourbon and are part of an interesting project well worth keeping an eye on. Ardbeg Supernova - the extreme model from the maker of serious peat monsters. I miss a lot of Ardbeg special releases, sadly. They are all good and many are excellent. I've been reviewing Octomores and Gal Granov, the incredibly gregarious, intelligent, questing and amazingly active master of the Israeli food and booze blogging scene via Whisky Israel among others, asked me how the Octomores compared with Supernova. When I said I had never tried any of them we got busy setting up a trade and I recently received a sample of the 2010 edition from Gal. Ardbeg makes peat monsters and when Bruichladdich concocted Octomore, the most heavily peated whisky in the world, Ardbeg quite reasonably derived a competing version. Ardbeg has released fewer versions and less total volume of this intense fire water than Laddie - and they never quite got the peat phenol levels as obscenely far into the stratosphere as Laddie did (and continues to do) with Octomore. However, as anyone who has marveled at the heavy peat flavors of Lagavulin and Laphroaig (which taste mighty peaty at comparatively tiny phenol levels) the ppm number doesn't tell the whole story. I had to see which peat monster tweaked my peat freak tail the hardest. Nose: light and youthful spring meadow with floral vanilla and a kiss of lemon over a darker foreboding with spirit heat, clay, putty, and some distant petrol and auto garage. Palate The entry is pointed and sweet with malt sugars, grassy and clean. There are gentle intonations of vigorous juicyfruit and jujubee berries on a thin light mouth feel. 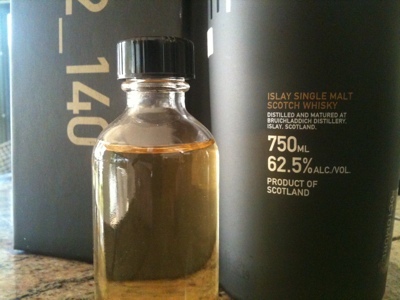 And then hits a roaring big expansion of spirit heat with vigorous big and classically maritime Ardbeg peat. The peat blooms into massive intensity, well melded with sweet. It is a huge, visceral, pulsating burn. At the turn to the finish it becomes massively bitter and ashen - like the gray end of a fine cigar. The intense ash fades over an extensive period of time progressing though herbal bitters and eventually into a gentle cherry and malty residual sweet glow on your blasted palate. A dash of water ups the citrus lemon note in the nose and increases the angularity of the sugars. 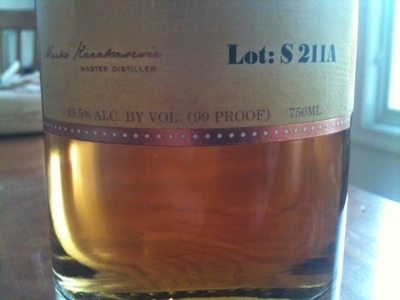 However the mouthfeel is noticeably richer and the pointy sweetness of entry rendered more honeyed. There more pepper and spice in the huge peat expansion. 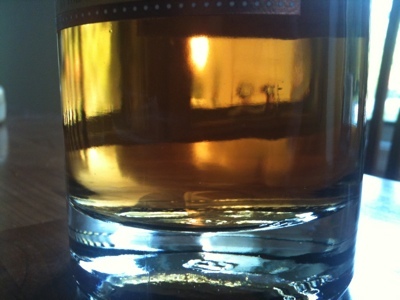 Bottom line here, Ardbeg Supernova 2010 is a huge peat monster and a delicious dram with a lot going on flavor-wise. The general consensus in the blogosphere seems to be that Supernova 2010 is more citrus and fruit and less phenol and slam than the 2009 edition. That sounded a lot like the general consensus about the difference between Octomore 01.1 (phenol and slam) and Octomore 2.1 (more sweet and heather - despite higher phenol levels). Given the sweetness of Supernova and the legacy of the turn to the light between the 2009 and 2010 expressions I decided to skip the heavy petrol of Octomore 01.1 for the head to head comparison.. It was a toss up, for me, between the razor sharp 4.1 or the slightly more rounded 2.1. It seemed like splitting hairs and I have a fresh full bottle of 02.1 and only a couple of ounces of 4.1 so I queued up a dram of Octomore 02.1 straight away. Nose: grassy sweet over industrial putty, clay. 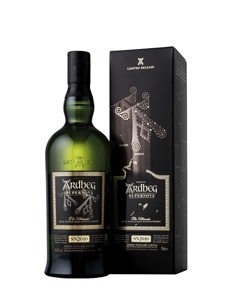 But where Ardbeg Supernova features floral and lemon notes, Octomore features a darker nasal palate with grass and grain sugars rather than flowers and more peat (clay) notes in evidence. sips the peat burn builds, but so does a creamy vanilla quality. This is classic Octomore: grassy malty heather sweet entry followed by a titanic mid palate expansion of explosive peat and rich maritime flavor elements. The palate experience divides cleanly into two divergent and opposite halves like the twin nature of Man: light and dark; good and evil. Sweet angelic honey sugar sunlight and monstrous burning ashy tar laden hellfire. Dramming them side by side I'm struck by how distinct the flavor profiles are: Ardbeg with more floral, citrus, and black pepper; Octomore with more honeyed malt, meadow, tar and cream. 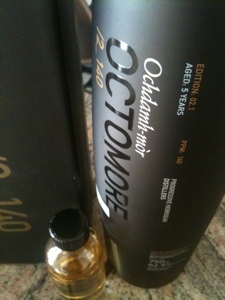 The Ardbeg tastes so distinctly of Ardbeg and the Octomore is clearly in the peated Bruichladdich house style. Yet I'm also struck by how similar they are to each other. Sweet and young up front with titanic peat wallops and huge tarry finishes. They are both true to what they are and clear Islay kin. Two different routes to the top of peat monster mountain. So, which is king? 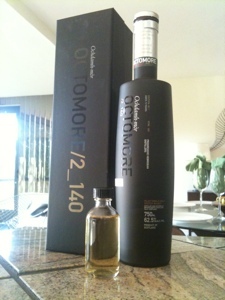 Octomore is darker and more convincing peat monster from the perspective of the density of burn. 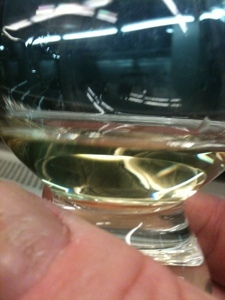 However Ardbeg Supernova is just ever so slightly more delicious from my perspective. They are both monsters and both superb. It's an academic question anyway. Both are limited editions and both are long sold out in most places.